Wholesalers and distributors are crucial part of the distribution channel, forming a link between the manufacturers and the retailers. Although this group is very important for the overall supply chain, it usually does not get enough attention from the software vendors. Today, there are thousands of software solutions that meet the needs of the manufacturers and the retailers, and only few solutions that cater the needs of the wholesale and distribution industry. Wholesalers and distributors sit between manufacturers and retailers in the supply chain. In a simple model, a wholesaler fills orders from retailers from an inventory that is purchased in bulk from other suppliers. Distributors act as an intermediary between the manufacturers and the retailers and provide additional services such as adding value to the product, taking an active role in the sale and promotion of the product, and processing returns. In reality the line between the wholesalers and distributors are not always so clear, and many times wholesalers will provide distribution services and vice versa. 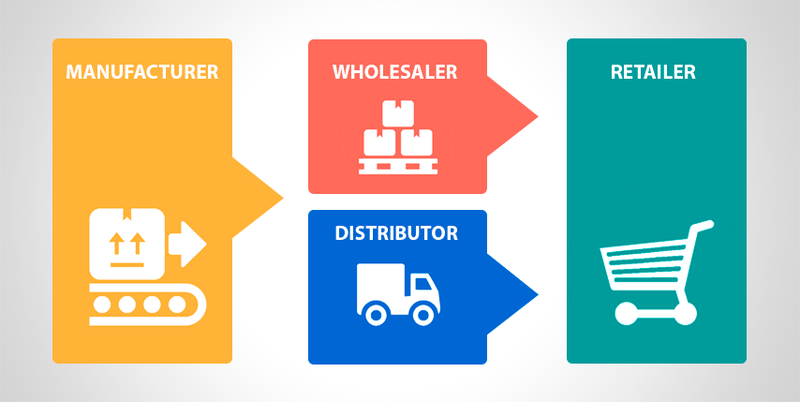 Therefore, many companies label themselves as “wholesale distributors”. The ERP for wholesalers and distributors should also provide: business platform capabilities, location-specific functionalities, as well as different software delivery modules. 1. Distribution requirement planning (DRP) is the planning engine, similar to the manufacturing requirement planning (MRP) but built to handle the specific needs of wholesalers and distributors. 2. Sales Management automates the entry of customer orders and tracks their status. It also includes the management of complex pricing agreements, inventory allocation procedures and support for returned goods processing. 3. Purchasing management (procurement management) manages the purchasing of the raw materials, semi-finished and finished goods, and tracks suppliers’ compliance to contract terms. 4. Quality Management refers to a set of actions taken by the organization in order to ensure that it creates and delivers high-quality products. Organizations must comply with national and international rules and regulations, but some of them create and use internal requirements for quality control. 5. Customer Relationship Management (CRM) covers a wide range of functionalities including: campaign and leads management, sales force automation, customer service and support, etc. Barcoding and radio-frequency identification (RFID) are very important capabilities of the ERP for wholesalers and distributors. Products must be labeled and packed with barcodes for efficient movement across the supply chain. The movement if the goods is improved when RFID tags are applied and supported in the movement process. 1. Warehouse management system (WMS) supports the day-to-day operations in a warehouse. WMS system enables centralized management of tasks such as: tracking inventory levels and stock locations, optimization of picking, putting away, replenishment functions, etc. The combination of system-directed operation, supported by real-time, paperless and interactive information systems will provide warehouse management and personnel with the tools to direct, control, measure and report on distribution operations. 2. Transportation management system (TMS) allow organizations to create profiles for all contracts, associated carriers, and trade lanes for intermodal and multi-leg moves. These systems should support regional as well as international transportation movements. 3. Global trade management (GTM) helps trading partners engage in an electronic dialogue to collaborate in acquiring, transferring, transporting and settling accounts across borders. This system will track product data and manage compliance of products to enable cross-border business operations. 4. Supplier relationship management (SRM) enables companies to communicate and collaborate with partners and suppliers regarding products, services, compliance and logistics. 1. Web-based multichannel commerce provides electronic shopping experience for both business-to-business (B2B) and business-to-customer (B2C) audiences. It provides the opportunity to search, compare, and purchase goods online. 2. 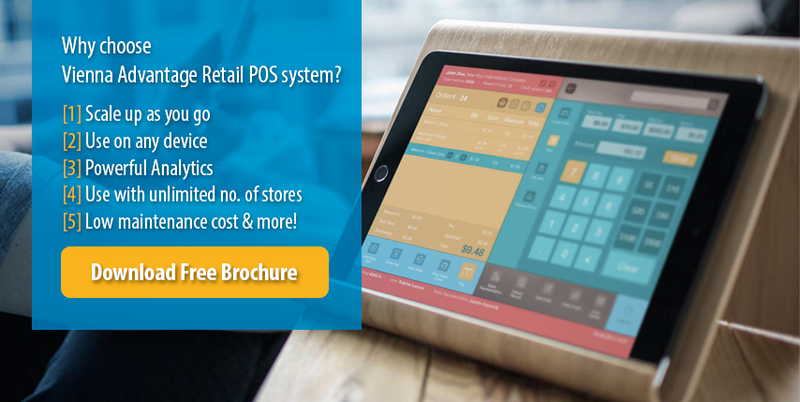 Retail and Point-of-Sale (POS) software records, tracks, analyze data and transactions at retail locations (online or conventional stores). 1. 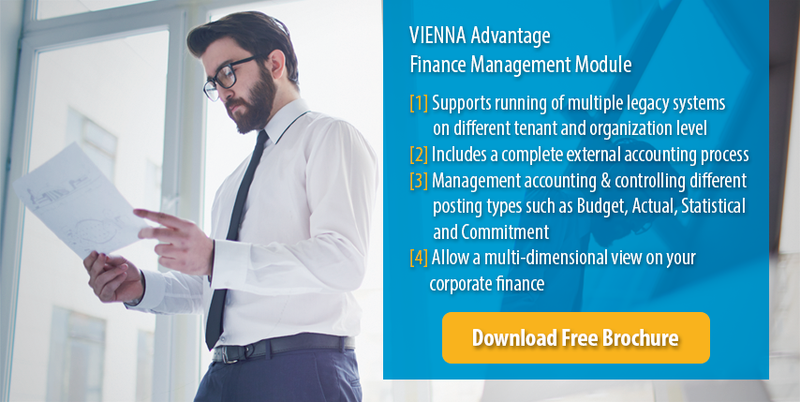 Financials applications manage the financial resources of the organization. This include accounting and financial reporting, budgeting, collection of accounts receivables, and risk management. Functional components include: general ledger, accounts payable, fixed assets, cist accounting, cash management, accounts receivable and financial reporting. 2. Contract, rebate, and chargeback processing is listed separately because of its importance to the wholesale and distribution companies. Wholesalers and distributors often need to manage complex contracting situations for complex networks of buyers and sellers. The contract management functionality will also need to be tightly linked to the rebate and chargeback processing requirements. 3. Human resources (HR) manages the personnel-related tasks. It includes the following functionalities: personnel management, benefit management, payroll management, employee self-service, health and safety.